My almost-3-year-old daughter recently watched the original Disney animated version of Cinderella which jumpstarted her princess phase. Now every outfit must include a tiara, every movie has to be about a princess, and every Barbie doll has some kingdom over which to reign. Imagine her sheer joy at the premiere of the new Disney channel movie and series Sofia The First: Once Upon A Princess, all about pint-sized animated royalty and her (mis)adventures in the kingdom of Enchancia. Just when I thought this princess phase couldn’t get any more exciting (for her, not me – just to clarify) Disney released a companion storybook app. Sofia The First: Story Theater is the digital book version of the movie with a bonus “theater” mode where players can make up their own tales of enchanted pillows and talking animals. The artwork in the app is much more sophisticated than the stereotypical Disney-style animation and lends a whimsical and painterly effect to the experience. The first mode – the actual digital book – is pretty straightforward. The story summarizes what we learned in the movie about Sofia and how she went from being an ordinary girl to an extraordinary princess by way of her mom marrying the kingdom’s ruler, King Roland. My daughter was tickled when she touched certain characters and the interacted by swaying to background music or shooting stardust from a sorcerer’s wand. 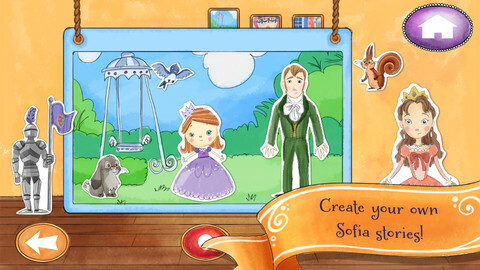 In the second part of the app, my little princess would combine figures of the story’s characters along with props and place them in front of a background. She recorded her own story as she dragged the people and props around the scene, creating her own babbling version of Sofia’s story. This was the part of the game that she enjoyed the most, and made several vignettes that were saved to the iPad to watch later. Disney’s newest princess app is pretty fairly priced at $3.99, which seems to be the going rate for digital children’s books on the iTunes market these days. Spoken narration of the story means that my little non-reader could partake in the fun, and the theater mode provided her with endless options for creative and imaginative play. I would strongly recommend this app for your little princess, it could save you from watching that same princess movie for the 3,284th time. 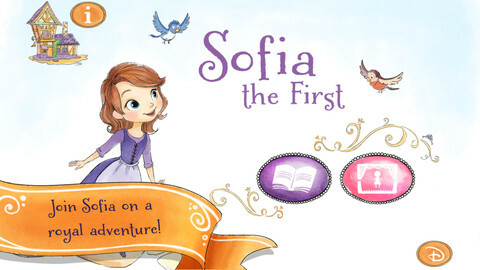 – Meet Sofia and get ready to play with her and her friends – An official App from Disney! 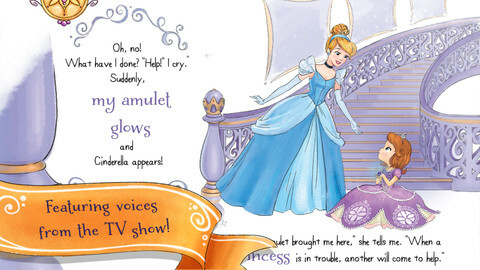 Disney’s newest princess goes digital with this e-book version of the new movie and animated series.